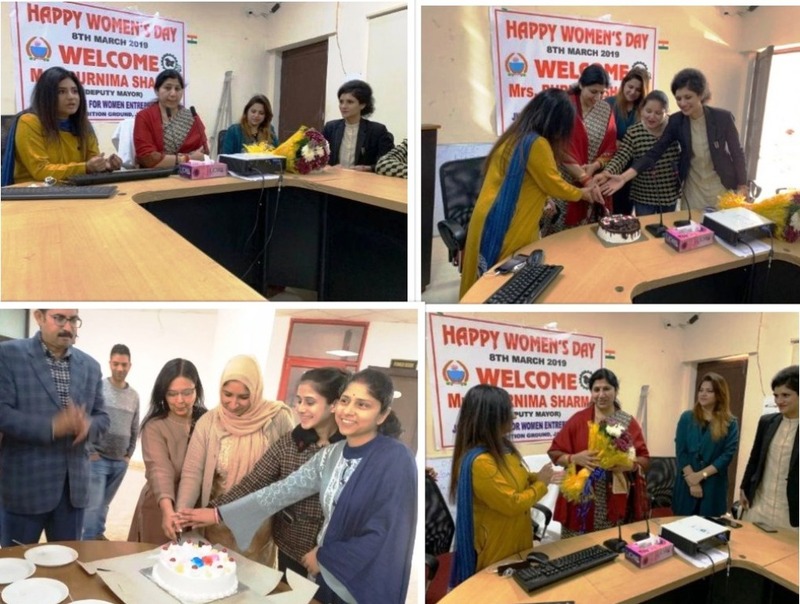 On International Women’s Day, the Jammu and Kashmir Entrepreneurship Development Institute (JKEDI) Friday organized simple but impressive functions at its regional centre Jammu, and Centres for Women Entrepreneurship, Jammu and Srinagar, an official statement said. The statement said that these functions were organized to celebrate the International Women’s Day and salute the spirit of women entrepreneurs and women entrepreneurship in the state of Jammu and Kashmir. “During these functions, the female staff working in the institute was encouraged and their contribution was highlighted,” said the statement. “At Regional Office Jammu, the female staffers including Nazia Qadri, Naughty Pandoh, Aparna Abrol and Shiwani Sharma were encouraged by the institute management for their role in different program verticals of the institute,” it said. “Another simple but impressive function was held at Centre for Women Entrepreneurship- Jammu (CWE-J), Exhibition Ground Jammu Haat. Deputy Mayor, Jammu Municipal Corporation, Advocate Purnima Sharma was invited as the Chief Guest. 27 aspiring women entrepreneurs currently undergoing training at the centre were also present,” it added. “She had an interactive session with the aspiring women entrepreneurs on the occasion,” said the statement. Speaking on the occasion, according to the statement the Deputy Mayor stressed upon empowering women folk for achieving gender equality in the society. The statement quoted Advocate Purnima as having said that nothing is beatable for a woman. “All she needs is support and encouragement to pursue her dreams. Today’s woman leads her life in various prominent roles and she does so with utmost sincerity, which makes her special,” she added. The program was presided over by In-charge CWE-J, Divya Bhushan and coordinated by Monika Salaria. “There are two centres for women entrepreneurship, one each in Srinagar and Jammu working as program verticals of JKEDI for exclusive coverage of women in J&K,” said the statement.